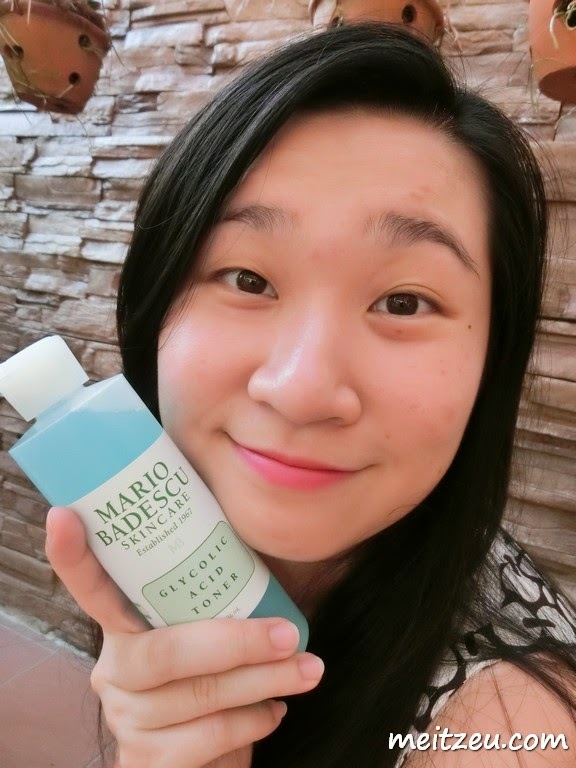 It was my third day with Mario Badescu products. For myself, I love being fair. Just like people always say, 一白遮三丑。 Having fair skin, do cover up those uneasy feelings. It is quite annoying when we see those little blackheads on our nose. Silver Powder could balance out the oily T-zone of our face and tighten our pores, leaving our face looks refreshing and healthy. After a few application on Silver Powder, lesser blackheads we shall see! 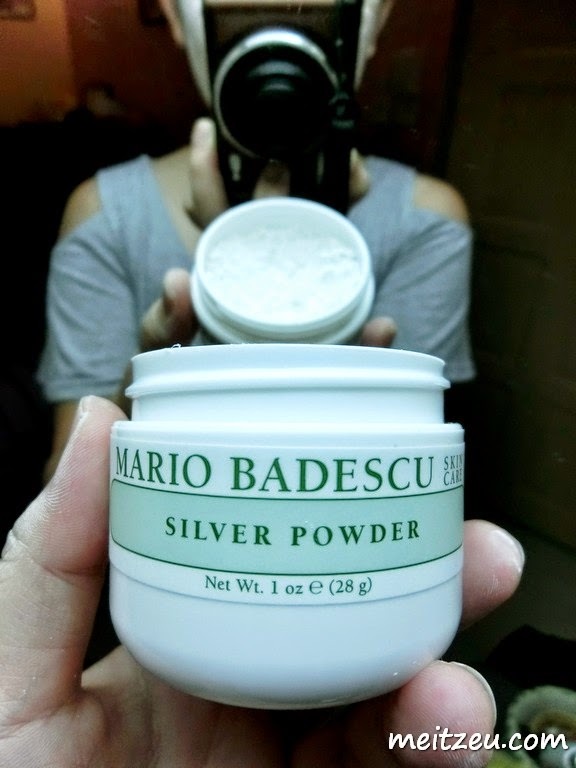 Perfect for those who have acne skin and any other issues, get the products details from Mario Badescu. Tested with Silver Powder for the first night. Prepare those wet cotton balls and dab them with Silver powder and apply on to our T-Zone or any other zone. In that case, I applied on to my bare face. 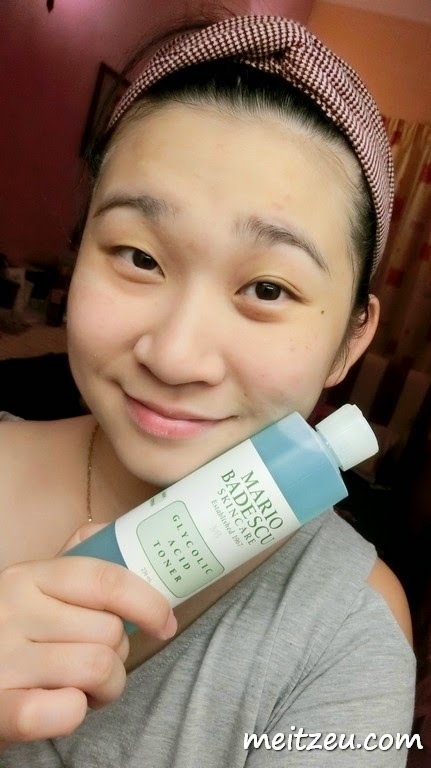 Cleared my face with Glyconic Acid Toner *Alcohol Free*. This toner gently exfoliates and lifts dead skin, while reducing discolouration caused by acne scarring. 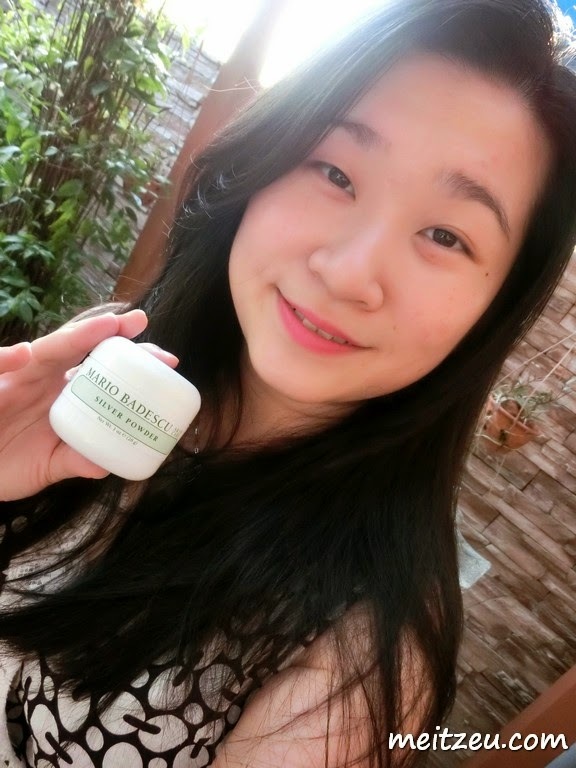 It refreshes your skin so that it no longer looks dull and tired. I do have acne scars, who doesn't? 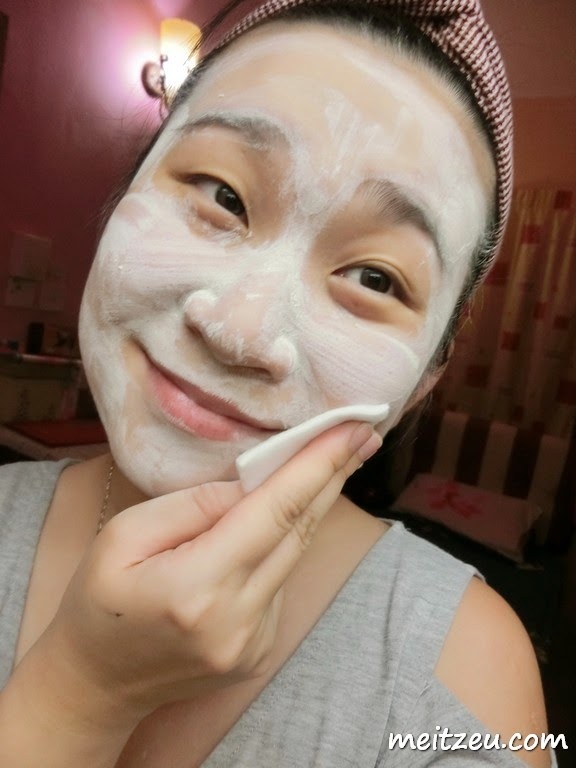 Reducing those dark spots is in my to-do list! In another side, I need to reduce those dark spots before the BIG DAY! :) *Excited. Anxious. * You name it! 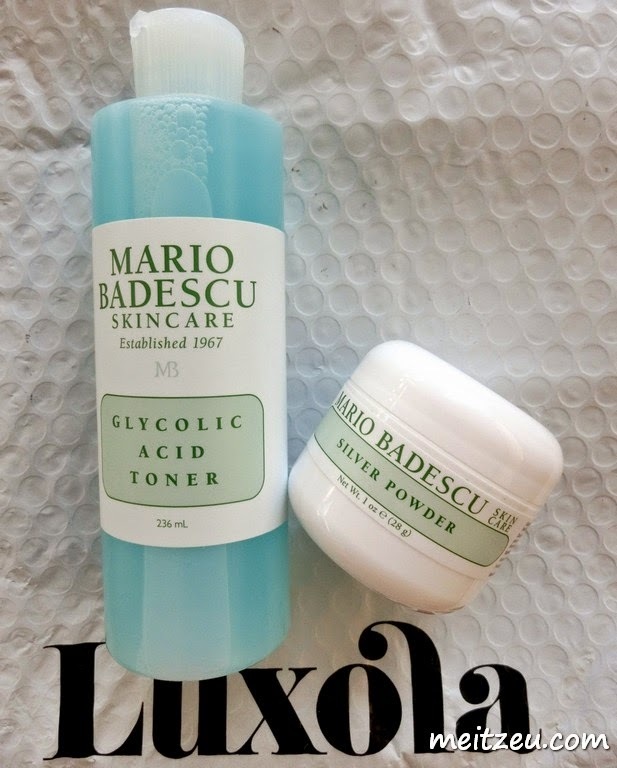 Get your favouite Mario Badescu products and other well known skincare products and tools from Luxola! Before checking out from Luxola, do key in "BLX-MEITZEU" to enjoy 15% off on all first time orders (T&C applied)!